Ireland 2019 land of bunkbeds, sheds and sofas. 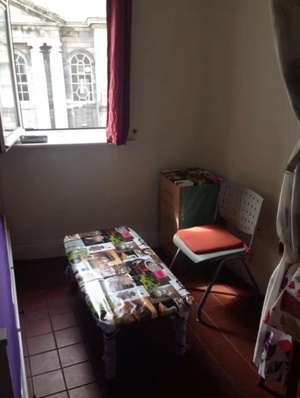 €420pm to live in a sitting room. 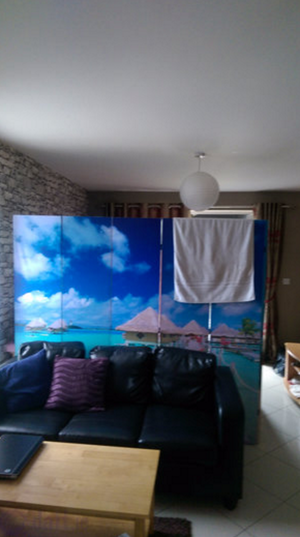 A curtain as privacy from the 5 tenants using the kitchen in your bedroom. 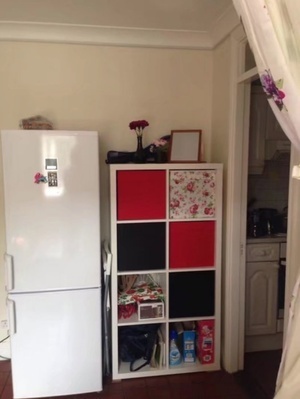 You get a shelf in a fridge, a cupboard & 3 drawers…. 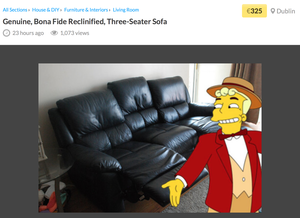 Posted in Misc and tagged curtain, Daft.ie, Dublin Rental Invesitgator, kitchen, Renting, sofa at 1:27 pm on March 26, 2019 by Bodger. What’s with the gift-wrapped table? It’s a gift. You’ve ruined the surprise now though. Some of these places look like death traps, presumably it will take a few deaths before anything is done about these kips. The ad now says it is let but I’d say they withdrew it due to the attention. 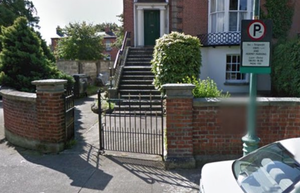 How much did the Fallon brothers get their grubby hands on for that listing – €175 (featured rental ad), €95 (premium, high priority) or €45 (standard rental listing)? Fair play to them. Fair play, fair play, fair play. If they didn’t do it someone else would, no housing crisis, just scroungers looking for handouts. Fair play, fair play. They choose to allow people to post properties of very low quality and sometimes properties that appear to lack cooking facilities (a legal requirement). 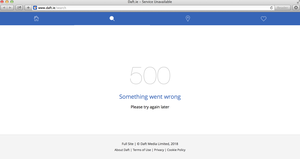 So when somebody posts something racist or offensive on boards.ie, it is their fault too? It’s a website that lists properties, I doubt they have somebody inspecting each post, and people can always report inappropriate posts, like the above listing. Basic requirements and fire should be checked by the council using qualified staff. Boards have moderators who actively remove comments that do not adhere to their policies and can ban posters who regularly contravene the rules. 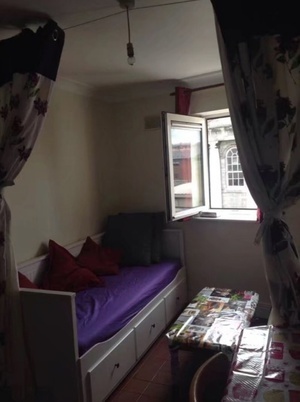 Daft should be obliged to review listings before they are published and to report suspect listings such as this to the PSRA or RTB. If boards.ie charge you €175 to post a comment, then yes, they should be responsible if you post something racist. €175 should be enough to pay for someone, say at €20 an hour, to look at your comment and judge if it is racist, and still leave a healthy profit for the owners who operate the site. I think the now-neutered language I used above was spot-on, and the more you connect these vile ads to specific names and faces, the sooner they’ll take action to clean up their business. You are correct is saying that daft did not create the accommodation crisis but where is the line? 6-8-10 to a room? Any advert which pictorially beeches the law should not be advertised because in the case of serious harm or death, they may find themselves in a situation where they are liable by complicity. Gosh, imagine if it was possible for more than one person to be doing something wrong? I know, lets not forget the evening herald also. Old school tootey pants behaviour from them in the pre daft days. I was overcharged by a taxi driver and his car was filthy, I obviously blame the car dealer for selling him the car. Tootey pants car dealer responsible for bad taxis.